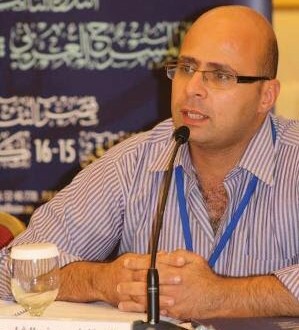 The Palestinian Center for Development and Media Freedoms (MADA) demands an end to the sufferance of the journalist Yousif Al-Shayeb who was detained and trialed for a report he has written and published in a Jordanian newspaper 3 years ago. Al-Shayeb case faced many errors; where now the Court of Appeals and Magistrate Court are both proceeding his case-which shows a huge error in the judging procedure. The Magistrate Court held today 17/6/2015 a hearing session for Al-Shayeb with the absence of the case’s parties (Al-Shayeb & the Complainants), yet they dealt with Al-Shayeb as present. It should be pointed out that the Court of Appeals already held a hearing session for the same case yesterday. MADA’s lawyer Mr. Raed Abdul Hamid said that he will file a complaint tomorrow to the Judicial Inspection Unit against this error. The Court of Appeals held yesterday 16/6/2015 a hearing session to decide about Al-Shayeb’s case based on an appeal request filed by MADA’s lawyer Mr. Raed Abdul Hamid who defends Al-Shayeb’s case. Mr. Abdul Hamid referred to the court of appeals after the magistrate court disagreed on the defenses he filed for Al-Shayeb in February 2015; where he demanded not to accept the case. It should be pointed that the magistrate court kept proceeding Al-Shayeb’s case at the time they should stop as long as it is transferred to the court of appeals; which is a violation against the legal procedure. This violation irritated and surprised the appeal judge in the hearing session that was held yesterday, where he promised to work to correct this error and to put an end to it. Mr. Abdul Hamid said that it is illegally permissible for the magistrate court to proceed the same case in which the court of appeals is proceeding. He also pointed out that this error shows a duality in proceeding the cases or the magistrate court might have had a belief in advance that its decision will be approved; which shows a mess in following up with the cases. Al-Shayeb said that he did not attend the session today because it is illegal; where the appeals judge was surprised that the magistrate court is still proceeding his case. He also explained that he suffered since his case started; where he was forced to attend all of the court’s sessions that were held throughout the past 3 years; which affected his work and commitments. 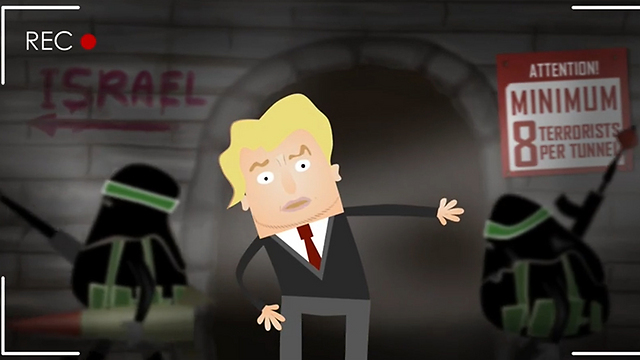 Israeli Prime Minister Benjamin Netanyahu, who also serves as the Communication Minister, has instructed the head of the Communications Ministry, to begin shutting down a new Palestinian TV station, funded by the Palestinian Authority, in Israel. 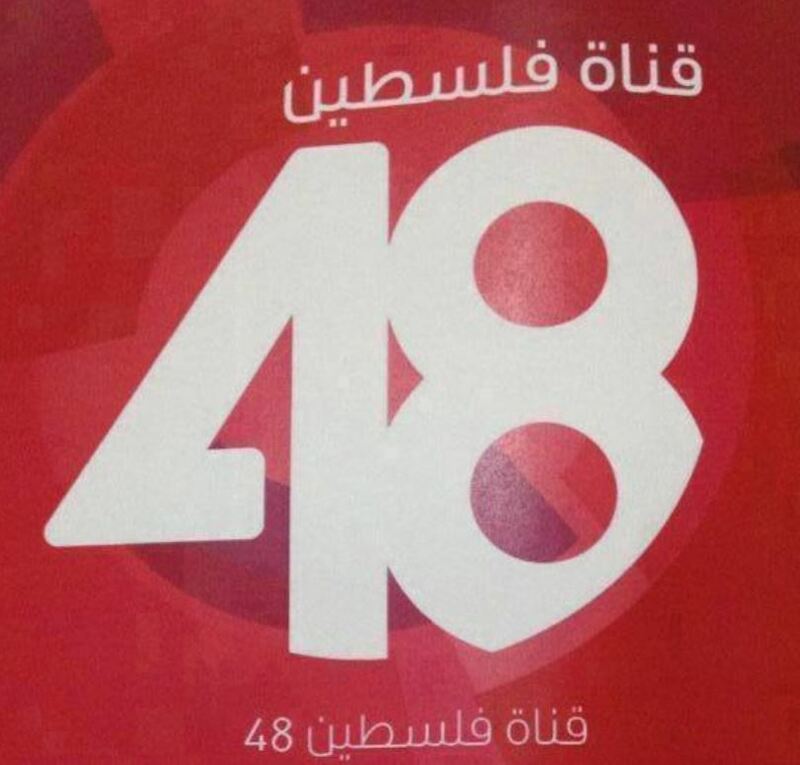 The official launch of the new TV was scheduled for today, Thursday, and all official preparations were concluded Wednesday for the historic launch of the new Palestine 48 TV Station. New footage of incident doesn't show Palestinian trying to take soldier's weapon as they claimed; IDF has yet to respond to new video. Just three days after three IDF soldiers were sentenced for the allegedly unnecessary beating of a Palestinian being arrested during clashes near Ramallah, a full video of the incident was released by Palestinian sources Wednesday, showing no definitive proof that the Palestinian civilian attempted to take one of the soldier's weapons as the IDF claimed after initial investigations. the face by one of the soldiers, but it did not reveal what led to the heavy-handed arrest, leaving room for speculation that the soldiers were justified at least in making the arrest. 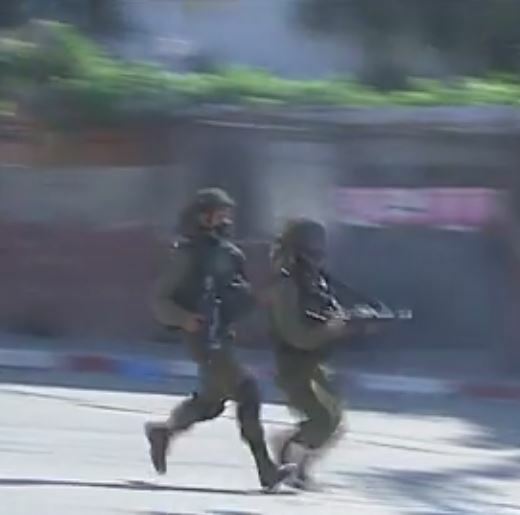 The clip released on Wednesday however, documents in full, the curses exchanged between the soldiers and the Palestinian as well as one moment in which the civilian brushes up against a soldier, but does not seem to make an aggressive grab for his weapon. 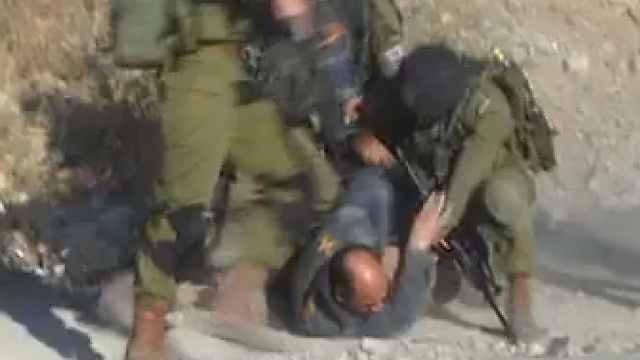 In addition to the questionable arrest tactics seen in the original clip, the full video shows one soldier forcing the Palestinian to the ground by hitting him over the back of the head with a rifle. The full video reached the IDF on Wednesday afternoon, but no response or statement has yet to be released. Two of the soldiers who were documented in the film received a suspended sentence of 28 days in army prison on Sunday, while another soldier who was seen cursing was sentenced to 30 days confinement to the base. The company commander was also reprimanded. 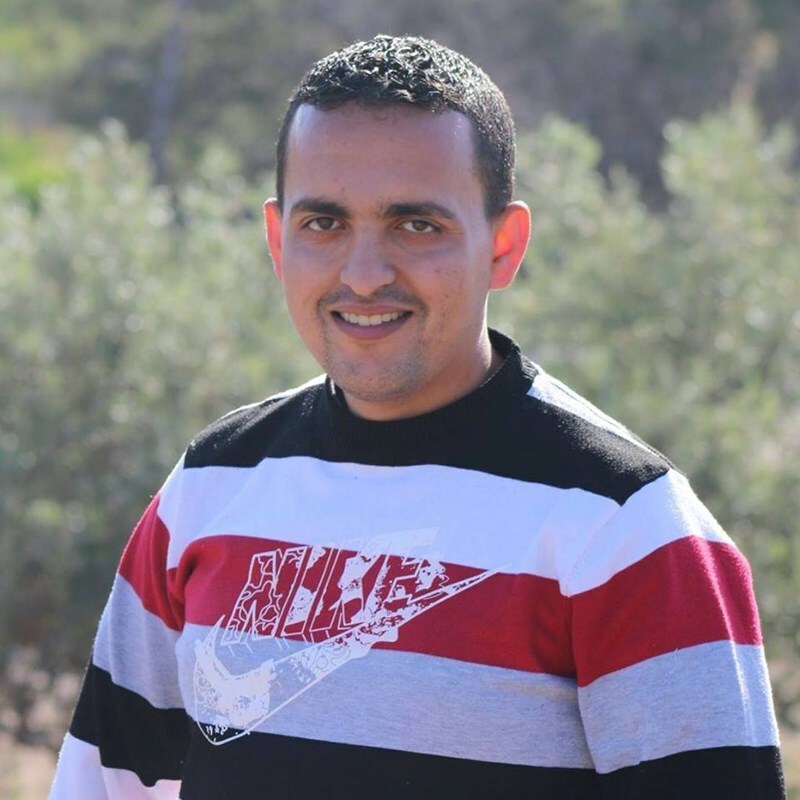 The Palestinian Authority (PA) intelligence service on Sunday transferred the journalist Mohamed Awad from its jail in Ramallah to another in Bethlehem. Awad’s family told a PIC news reporter that the PA intelligence moved their son, detained for 41 days, to a lock up in the West Bank province of Bethlehem in an attempt to gloss over the traces of torture he has been made to endure. The family raised alarm bells over the mistreatment Awad has been subjected to as he has been denied family and lawyer visits and has undergone exhausting inter-prison transfers. They called on the PA forces to restore their son’s freedom without further delay and to cease their random charges against him. Medical sources said one Palestinian one Palestinian was shot with a Tutu live round that explodes on impact, causing excessive bodily damage, while shrapnel of a concussion grenade injured another Palestinian. Israeli security forces fire tear gas towards Palestinian protesters on May 16, 2015 next to Huwarra checkpoint south of Nablus. Israel has barred a Palestinian photographer allegedly shot in the eye by Israeli forces from entering occupied East Jerusalem for specialist treatment, the injured photographer told AFP on Wednesday. 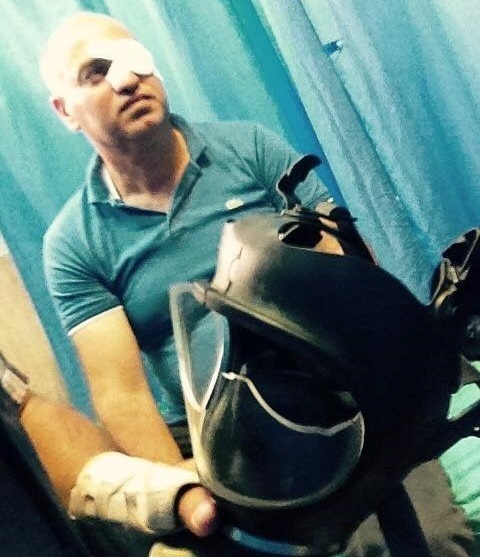 Nidal Shtayyeh, who works for Chinese news agency Xinhua, was wounded while covering a small demonstration at Huwarra checkpoint, near the northern West Bank city of Nablus, on May 16. As he was covering the rally, Shtayyeh was hit in the face by a rubber bullet which entered his eye, causing serious damage, he told AFP. "The march was peaceful and no stones were thrown, no photographers were taking any pictures," he said, accusing soldiers of firing sound bombs at the photographers without any provocation. "I raised my camera to my right eye to take a picture, but a soldier shot me in my left eye with his rifle, and the rubber bullet went through my gas mask's glass eye cover and into my eye." An Italian camerawoman was also injured during the same demonstration which came as Palestinians commemorated 67 years since the Nakba, or "catastrophe", when an estimated 760,000 Palestinians fled or were expelled from their homes during the establishment of the state of Israel in 1948. At the time, Israeli forces said at least 100 Palestinians had been throwing stones and petrol bombs, and that the forces had responded with "riot dispersal means." Shtayyeh's injury comes as rights groups criticize Israel for disproportionate use of force against unarmed civilians during such demonstrations. While crowd control weapons are intended to be non-lethal, many methods used by Israeli forces can cause death, severe injury, and damage to property, according to Israeli rights group B'Tselem. Shtayyeh was rushed to Rafidiya hospital in Nablus for initial treatment but was prescribed specialist help at St John's eye hospital in occupied East Jerusalem. Israel annexed East Jerusalem in 1967 in a move considered illegal by the international community, and Palestinians living in the West Bank, are often barred by Israel from crossing into the city, which they consider their capital. As a Palestinian living in the West Bank, Shtayyeh had to apply for an Israeli permit to enter, however Israeli authorities turned down his request. He tried again two more times -- once through the Red Cross and once through a private Israeli lawyer. But both requests were rejected. A spokesman for the Shin Bet internal security agency did not have an immediate response. Shtayyeh's lawyer, Itai Matt, told AFP that his client had been informed it was the Shin Bet preventing his entry, despite his having been granted such permission in the past. According to Matt, Israeli security services "regularly bar entry to anyone wounded by the army". "They even bar entry to wounded children seeking treatment in Jerusalem, because they are worried that anyone wounded will try and take revenge after their treatment," he said. Xinhua did not respond to AFP's requests for a comment on the incident. Shtayyeh is one of nearly 1,000 Palestinians to be injured by Israeli forces since the start of 2015, according to the UN Office for the Coordination of Humanitarian Affairs. Israeli military courts rarely prosecute members of Israeli forces who cause injury or death . From 2000-2012, only 117 of 2,207 investigations opened by the Military Police Criminal Investigations Division were indicted, about 5% of the total files opened, according to Israeli human rights group Yesh-Din. Shtayyah's injury and inability to access treatment comes as groups Foreign Press Association and Reporters Without Borders have alleged that Israeli forces deliberately target press covering demonstrations. At least 10 Palestinian citizens were apprehended by the Israeli occupation forces (IOF) at dawn Thursday following a wave of arbitrary assaults and home break-ins launched across cities of the West Bank. Israeli media sources quoted the occupation army as claiming responsibility for the abduction of four wanted Palestinians on allegations of their involvement in anti-occupation activities. Sources based in al-Khalil city said the IOF rolled into Abu Kteila neighborhood and scoured Palestinian civilian homes, moments before they kidnapped the 28-year-old ex-prisoner Mahmoud Abu Shkheidam and dragged him to an unidentified destination. Spokesperson for the anti-settlement committee in al-Khalil’s town of Beit Ummar, Mohamed Awad, said the Israeli military nabbed two Palestinian citizens after they wreaked havoc on their family homes. 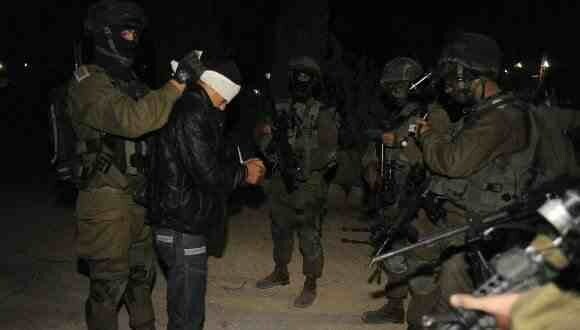 The IOF also arrested the lawyer Iyad Khalil at the Container checkpoint, near Bethlehem city, early in the morning. According to a PIC journalist, the assault culminated in the apprehension of five Jerusalemite youths, including four minors, from al-Issawiya town, in eastern Occupied Jerusalem. Another youngster was reportedly summoned for interrogation in the process. In a separate incident earlier on Wednesday, the Petah Tikva Israeli court extended, for the second time, the remand of the Palestinian journalist Ahmad al-Beitawi, working for the Quds Press International, for eight days pending further investigation. Journalist al-Beitawi, 33, was rounded up by the IOF from his own home in eastern Nablus. The Israeli Magistrate’s Court released the 13-year-old child Tarek al-Issawi provided that he would be confined to house arrest for five days and pay a $1,300- third-party bail. 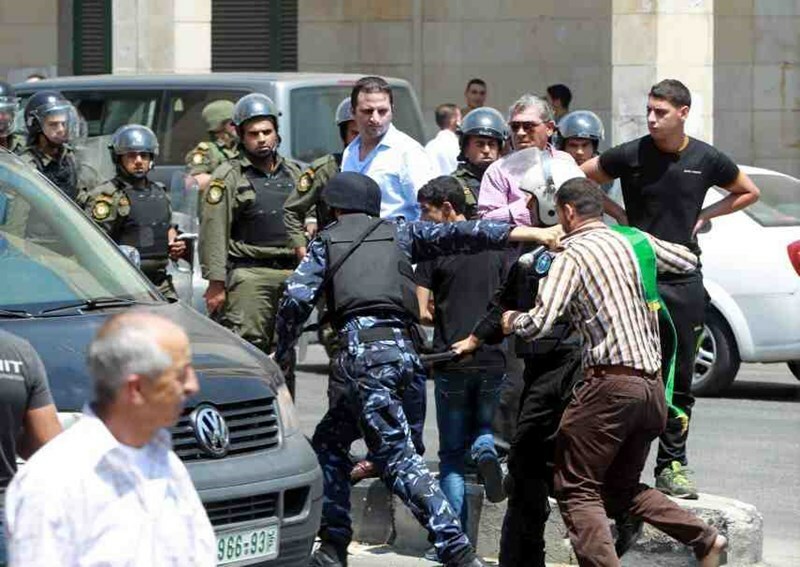 The same court acquitted the youth Mohamed Jabr al-Abassi after it sentenced him to a $1,000-shekel-fine, undefined house arrest, and a $2,600-third-party bail on charges of hurling stones at a police car in Silwan. At least eight Hamas affiliates, including a journalist, were arrested and another was summoned for interrogation by the Palestinian Authority (PA) apparatuses across the West Bank. Sources based in the West Bank city of Ramallah said the PA Preventive Forces captured the citizen Amin Arman from Ein Yabroud town after having summoned him for interrogation. The Tulkarem-based PA forces also kidnapped Alaa Hamdan, coordinator of the Islamic Bloc at al-Khadouri University, as soon as he reached the PA detention center in the city. The PA apparatuses have kept the youngster Husam Akram Sarhan in custody for the fifth day running. A PA court meanwhile extended his remand for 15 days. The PA intelligence service in Bethlehem apprehended the university student Imad Shawkat right after he was summoned for interrogation. The Bethlehem campaign culminated in the abduction of the Palestinian journalist Ghassan al-Najajra and two-ex-prisoners, identified as Habib Kacem and Ghassan Alayn. In the meantime, the PA apparatuses in Jenin detained the Hamas leader Abdul Jabar Jarrar shortly after he was summoned for interrogation. The PA extended his remand to 48 hours under the pretext of further investigation. The Palestinian journalist Mohamed Awad, 27, said during his court hearing held Thursday that he was subjected to beating and electric shocks while being held in PA Jericho prison. Awad said that during his interrogation that lasted for 31 days he was subjected to severe torture including beating, tying him to chair for long hours, electric shocks, and sleep deprivation. Awad was brought to court on Thursday in very difficult health condition as he was unable to stand up during the hearing, PIC reporter said. He also lost about 15 kg of his weight only within a month, he added. His family appealed for seven times for his release on a bail especially that there is no charge against him, but it was in vain. Awad’s detention has been extended for more 15 days pending investigation, the family said. Before his arrest, Awad was preparing for his wedding planned to be held on June 10. He had earlier spent nearly 10 months in Israeli jails, before being detained more than once by PA forces. Israeli Occupation Authority (IOA) prevented a Palestinian photographer from access to Occupied Jerusalem for treatment after he was shot by Israeli bullets in clashes at Howara checkpoint near Nablus. 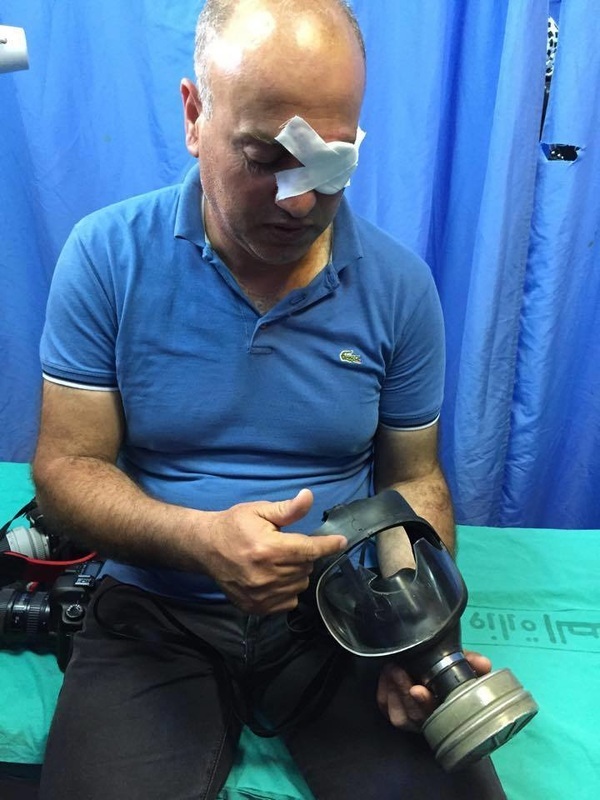 In a statement, the photographer Nidal Eshtayeh said that he filed a request to the Israeli liaison to enter the occupied city so that he could receive treatment in one of its hospitals for his left eye which was shot by an Israeli rubber bullet while he was covering a confrontation two weeks ago. He was, however, informed by the liaison that his request was declined due to security refusal of the Israeli Shin bet, noting that he had never been banned from entering Occupied Jerusalem before. He declared his intention to travel to Jordan for his urgent need for treatment because of injury complications as he has been suffering from weak vision and severe pain due to a ceaseless eye bleeding. Nidal Eshtayeh works as a cameraman at the Chinese agency Xinhua. He was shot in the eye with a rubber bullet that penetrated the gas preventive mask and scattered the glass into his eye.